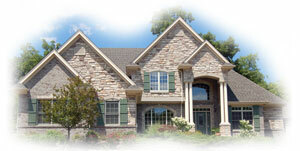 Welcome to John Newell Appraisal's home page. We are Mississippi's leading provider of real estate appraisals for the mortgage lending marketplace in Madison, Hinds and Rankin Counties. With 23 years of experience in the appraisal business, we have a proven track record of reducing time, efforts and costs in managing the appraisal process. Our investment in training and technology has helped our customers greatly reduce their workload. In the Jackson Metropolitan Area including Madison, Ridgeland, Brandon, Pearl, Flowood, Florence and Clinton, John Newell Appraisal offers online appraisal ordering, scheduling, status checks and electronic delivery of the final product. This allows you to eliminate the run around and phone tag hassles associated with this process. And since this saves us money as well, we can keep our rates competitive with anybody in the industry. Our areas of service include cities such as Jackson, Madison, Ridgeland, Brandon, Pearl, Flowood, Florence, Richland, Clinton and Canton.